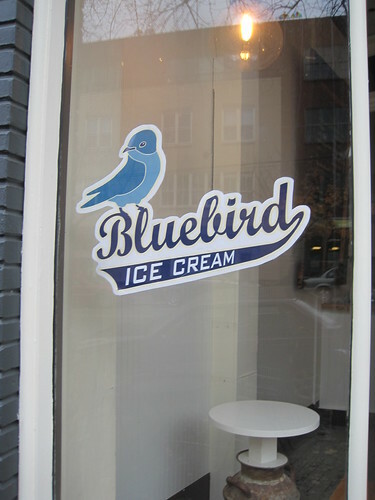 I finally got a chance to swing by the new Bluebird Ice Cream location in Fremont today (3515 Fremont Ave. N). Snapped some photos that you can check out below. 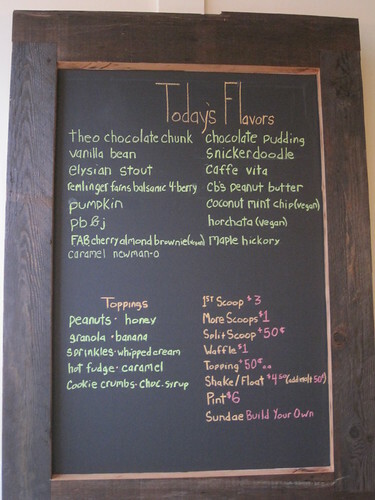 They’ve got a full selection of ice creams but there’s a few notables that I wanted to share in case you want to make your ice cream eating experience as Fremonty as humanly possible. Made with chunks of Seattle-based Theo chocolate, the world’s only certified organic and fair trade chocolate maker. Roasted two blocks from their store on Pike Street. So, technically not from the Fremont Vita, but, same difference. Vegan/gluten-free with chunks of Flying Apron Bakery brownie, from across the street. Some coffee shops provide Wi-Fi to customers for free, but Fremont Coffee Company is trying something different. Last year the company introduced a Wi-Fi code system that lasts up to three hours. Despite the time limit, the system is working well for the company and its Wi-Fi users. Grady Lemoine, a PhD student at UW, has seen the company go though the three systems over the years. 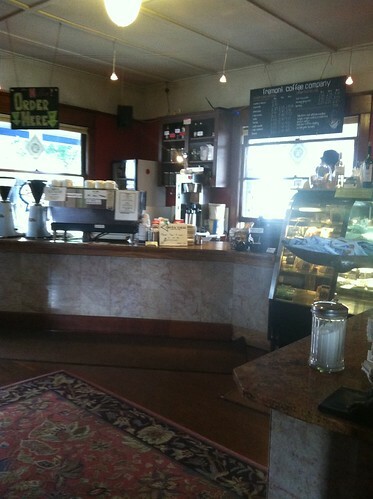 Lemoine, who is a regular, typically spends 2 to 3 hours at the coffee shop. “This is the one that has worked best of the three,” he said. “It’s a small price to pay for Wi-Fi that is reliable.” When Lemoine goes over the three hours he says that the baristas are happy to provide a new code. Caffé Vita, Starbucks and Caffé Ladro are among coffee shops that offer Wi-Fi with a purchase. “People like that we have Wi-Fi, it fills up quickly,” said Holly Walter, manager of Caffé Vita. Some have gone to different lengths to use the Wi-Fi service. Although it doesn’t happen often Walter says there are days when people pull up in their cars. “It’s like going to a restaurant and [only] ordering water,” she said. A couple folks have emailed asking what was going on around 43rd & Fremont Ave. last night around 10pm. Up to eight police cars were reported on the block nearby Caffe Vita. According to police reports, an arrest was made on an individual with an outstanding felony warrant at the 600 block of 43rd Street. No word of an incident or issue from the police, though the officers did draw their guns on multiple occasions according to two witnesses. If we learn any more, we’ll update. This Thursday, April 28, is the 18th annual Dining Out for Life event. Throughout Puget Sound, restaurants will donate a percentage of each diner’s bill to support Lifelong AIDS Alliance. 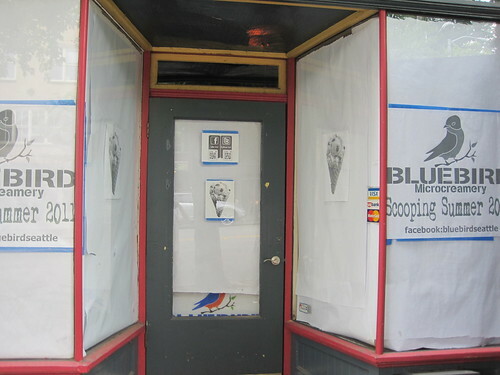 Participating Fremont restaurants are Blue Moon Burgers, Caffe Vita and Kylie’s Chicago Pizza. You can book a reservation on the Dining Out for Life site. You can also enter for your chance to win amazing prize packages (packages will be announced in April) when you dine out at a participating restaurant on Thursday. To enter, simply ask your restaurant’s staff for a raffle envelope and drop it in the Dining Out For Life donation box. Now when you stop by Caffé Vita for your daily cup of coffee, you can help save an animal’s life. Not too shabby. For every bag of Zoo Special Reserve purchased at Caffé Vita, $1 will be donated to Woodland Park Zoo. The farmers who grow this coffee promote biodiversity by setting aside over forty percent of their land as a nature reserve, which protects the habitats of native tropical animals and birds such as gray foxes, armadillos, anteaters, parrots and butterflies. The Zoo Special Reserve coffee beans were sustainably farmed using innovative systems of composting, recycling and water conservation under the belief that healthy, organic soil and diverse shade cover produces superior coffee. 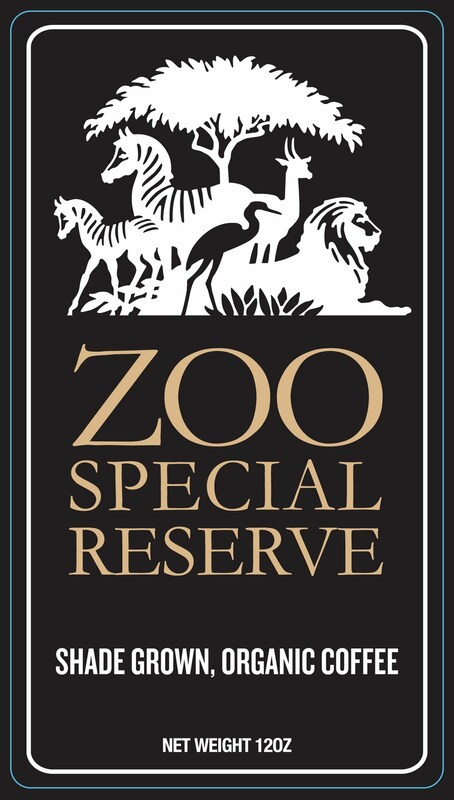 Zoo Special Reserve is sold in 12-ounce bags of whole beans for $13.95 at all six Caffé Vita locations in Seattle, though the easiest one for you to get to would be the Fremont location at 4301 Fremont Avenue North. Caffé Vita will continue to work with Woodland Park Zoo this summer when they travel to Papua New Guinea to help improve community livelihoods while protecting biodiversity and the habitat of the endangered Matschie’s tree kangaroo. 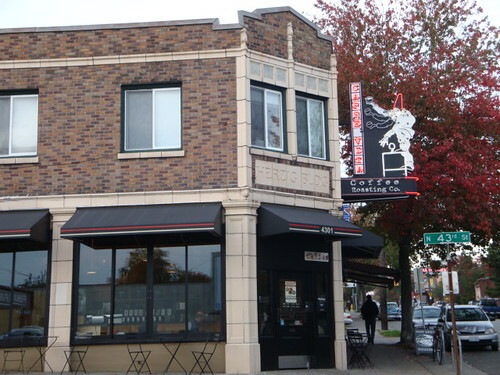 Starting Wednesday, October 21, through October 28, Caffe Vita on Fremont Ave. is participating in the City of Seattle’s Green Eats Week. Customers who purchase select items during this week will receive coupons good for composting. The promotion was created by Seattle Public Utilities Food+Compostables program to highlight several local restaurants who are among the first to implement recyclable service ware and customer area composting. Green Eats Week will give diners an idea of what to expect when ALL Seattle food establishments will be required to use recyclable or compostable service ware and packaging products by July 1, 2010. Under Seattle’s new Food Packaging Requirements, area restaurants have already been banned from using styrofoam containers since January 2009.
Who says good guys finish last?